We went to a pepper farm! That’s pepper plants, behind us. They are actually vines that grow on poles. 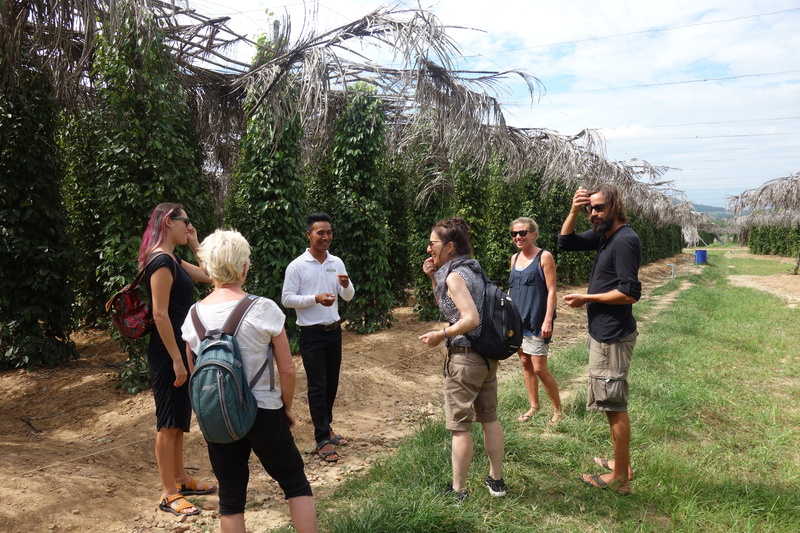 Pepper is a super big deal in the Kampot area.